The Kawasaki Ninja 300 Vs the Honda CBR300R comparison. Like the 250cc versions these two motorcycles will forever be compared by new riders, commuters and of course learner riders. The extra 50cc doesn’t result in earth shattering power increases but will be enough to notice – once the engines have been run in. 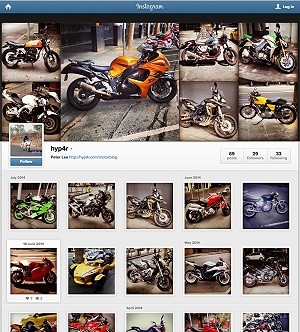 Performance of both motorcycles also require the motorcycle riders to have some skill to extract the best performance. The less weight you carry will also help! I haven’t ridden them yet but inevitable so will hence reserve any judgement about their riding experience until then. 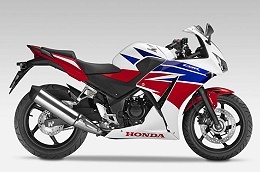 The CBR300R has still not been released for sale at the time of this post so the specifications here are subject to change. However I must add that these motorcycles will likely be relatively soft and easy to ride which is definitely a good thing for what they are designed for. So based on what I know and specifications I am happy to say that both should be pretty decent motorcycles. The Kawasaki 300 Ninja wins on looks being a more traditionally sporty design and similar in style to the current and larger ZX-6. The CBR300R is typical in that it neither looks too sporty or conservative and in the ‘must try to at least look sportier’ department. It resembles the larger 500R rather than the RR versions and does look better in real life than pictures. The quality of parts I examined on both (at the show) are virtually identical thus acceptable, so don’t expect the amazing welding seen on the Fireblade or the ZX-10R for example. 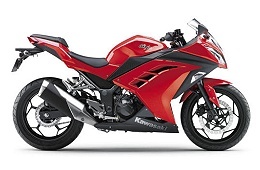 In terms of specifications the CBR300R has more torque but less power, the Kawaski has more power but less torque. More torque means better usability in normal riding, more power means more zing at higher revs. There is honestly so little between them in terms of on paper performance that a leather jacket vs a lightweight synthetic suit or full tank vs half tank of fuel can mean a second or two in performance and the speed traps. Since this is not a full review of the CBR300R or the Ninja 300 the showroom and specification comparison conclusion is as follows: So far I would probably pick the Kawasaki Ninja 300 because it looks sportier and even the technology is up to date but if there was a significant price difference of $1000 then the Honda CBR300R would be my choice. Looks are so important followed by price in this part of the market – surely honda knows this by now and the update is quite reasonable. Just remember to check out the alternatives as listed here! some of which are quite possibly better.